Whether you are expanding your business or downsizing we can help you pack and move your warehouse contents to a new premises. A good warehouse project move plan is what you need to have a smooth transition. We can deliver it and have good references to prove it! For each warehouse relocation we offer a free on site survey and moving costs estimate. List of warehouse moving services in brief. Warehouse Removals London provides a number of services to accommodate any type and any size of warehouse relocation project. Our vast experience entitles us to offer you removals of finished products, semi-manufactured goods, loose and boxed stock, palletised stock, shelving, machinery, warehouse equipment, forklifts, ladders and hoists. Of course we can also dismantle, move and reassemble warehouse racking systems and any type of storage shelving you may have. There are packer, movers and project move mangers within our team. We provide professional and complex warehouse removals in all Greater London - East Central, West Central, South East, South West, West, South North, North West and East London. Our move mangers can prepare a warehouse moving plan to move your business in one go or in phases so that your customer do not even notice. We can design warehouse relocation project plan on the basis of individual business requirements. Based on the specific needs of the client we provide engineers, machinery, specialist equipment, crates, pallets, boxes, removal vehicles and forklift drivers for your warehouse relocations London. Our warehouse removal firm also provides pallet racking removals London, taut-liners, forklifts, crane trucks, designing of new premises and supply as well as installation of new racking. Relocations planned and conducted by Warehouse Moving London also help to cut down the moving cost. Are you looking to move warehouse to a new location in London or to a place in the UK or overseas with better business opportunities? If the answer to the above question is yes, then you should take advantage of our warehouse relocation services. There are various reasons why a business may decide to move warehouse to another town or city or country. But whatever your reason is, we are there to serve you and help you realise your objective. 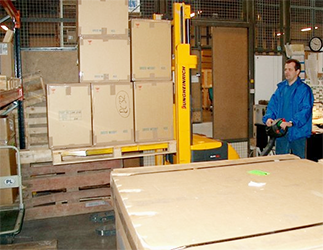 Our warehouse removal services are not only limited to the UK. We pride ourselves on providing international warehouse relocation services. As one of leading international warehouse movers UK, we are capable of moving warehouses to France, Germany Spain, Belgium, Holland, Portugal and to other various countries in Europe as well as to other continents including Australia, China, the USA, Japan, South Africa, Dubai, India, Canada, New Zealand and other African nations. Just tell our where you will want your warehouse to be relocated and our experts will work out efficient plan for you. Warehouse move projects can be very complicated and tasking. If it is poorly handled, it can have a terrible effect on the progress and activities of any business. But we feel glad to tell you that we will deliver quality service warehouse removals project planning to you ensuring that the downtime is greatly minimized. We know the importance of warehouse moving. This is why we first plan it before executing the task. Moving warehouse stock and racking is not like any other type of move and the importance of planning cannot be over stressed. The success of the entire exercise depends on how it is planned. This is why we have established a reliable warehouse move planning team made of professionals in the industry. They will apply their experience and knowledge in working out an effective moving strategy for you. The members of our planning team have been trained to work as a team or with any group. So, they will cooperate with your staff when working out the right moving strategy for you. Definitely, you will want your business to continue during the relocation period. Our UK warehouse movers and project experts will take that into consideration when planning the move for you. Strategies on how to ensure maximum productivity during the move will be pointed out. Moving a warehouse can be a trying moments for the staff of the business that is moving. So, when planning a move, our professionals do not overlook the need of your staff. If you are relocating your staffs as well, they are capable of developing effective warehouse moving plans for your staff. So, there is no need to worry or entertain any fear about their well-being during the move. 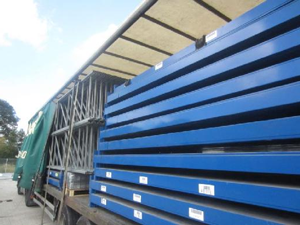 We also offer warehouse storage services. In case you have some goods in stock that you will want to keep in your new warehouse but it is not yet completed to your satisfaction, you can keep the goods in our storage facilities. We have storage facilities in various areas of London - North West, South West, East and North and a few more Greater London. We also provide distribution and storage in many countries that we provide our warehouse moving services to. We are quite aware that various goods and products have various storage needs. Thus we have acquired various types of storage containers and properly equipped our storage facilities to meet the storage needs of any goods. If your goods are temperature sensitive, we have the necessary facility for their storage. We have ventilated containers for items that require ventilation for their storage. UK Warehouse movers will deliver your goods any time you want them and on time. We don’t have any records of delays in our history. You can check our reviews or ask other people that have used our services before. We know that time is precious and that it means a lot in business and thus we will do everything possible to meet deadline in our services. Our services are highly affordable. We don’t have any hidden prices. All our service charges are contained in our quote. You can rely on any quote you receive from us.